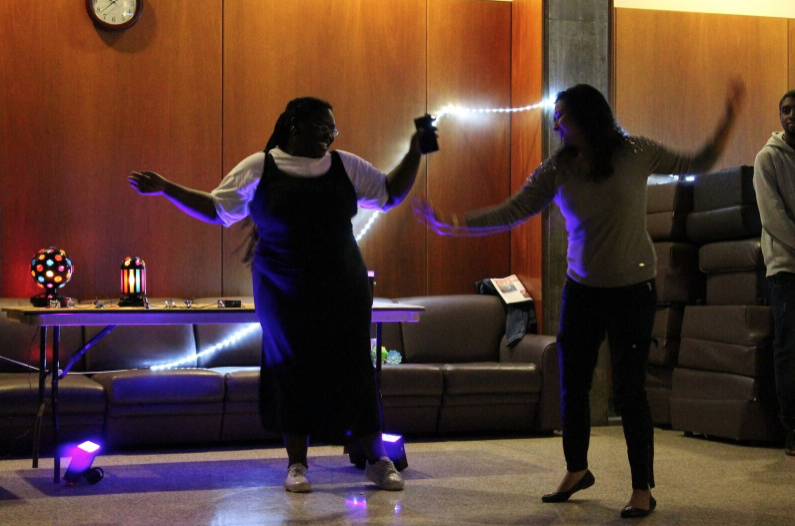 Lights, sparklers, dancing and music filled the University Center last Friday night. DESI Student Organization and Event Management Organization celebrated the Festival of Lights. 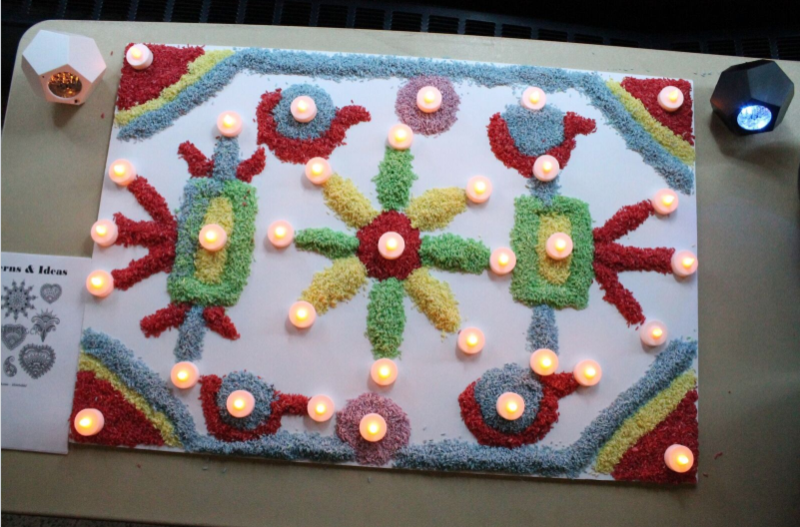 One of the many activities the organizations had was Rangoli, colorful designs people create on their floor as a welcoming sign to the gods and to bring them good fortune. The designs are usually made of colored Rangoli powder, ground rice powder and flowers. The festival used colored rice. People who came were able to make their own designs. “The designs were so colorful and unique,” said Marie. 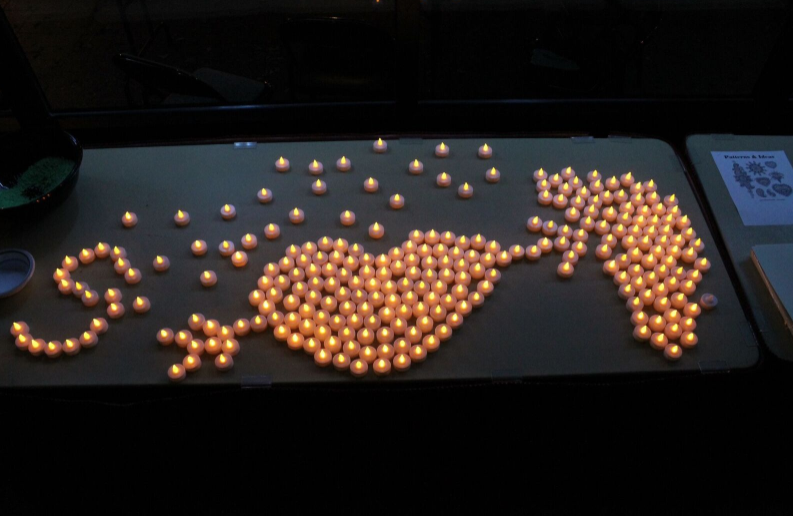 After people finished their designs they added tea lights, a small, mock candle with a mental base. “I got to learn a little more about the Indian culture,” said Geysa Moran. Not only was there Rangoli, but there was henna, dancing lessons, and food, too. In India, they celebrate Diwali, which translates to “a row of lights.” According to National Geographic, the holiday is one of the largest and most important holiday. To protect themselves from spiritual darkness, people symbolize inner light from spiritual darkness by placing rows of clay lamps outside of their homes. Not only was the Rangoli to used protect ourselves, the organizations handed out Sparklers. Everyone grouped outside to light them. There are five days of Diwali, as explained by the National Geographic. On the first day, people buy gold and utensils compare it to spring cleaning. The second day is when people decorate their houses with Rangoli. Families gather on the third day for huge meals, prayer, and fireworks. The new year is celebrated on the fourth day of Diwali. Gifts and good wishes are given all around the communities. On the fifth and final day of the holiday, siblings gather together and share extravagant meals. Marie said there was music, dancing and fun all night long.